The Federal Wildland Fire Service Association is an employee association formed in 1990 by and for federal wildland firefighters. 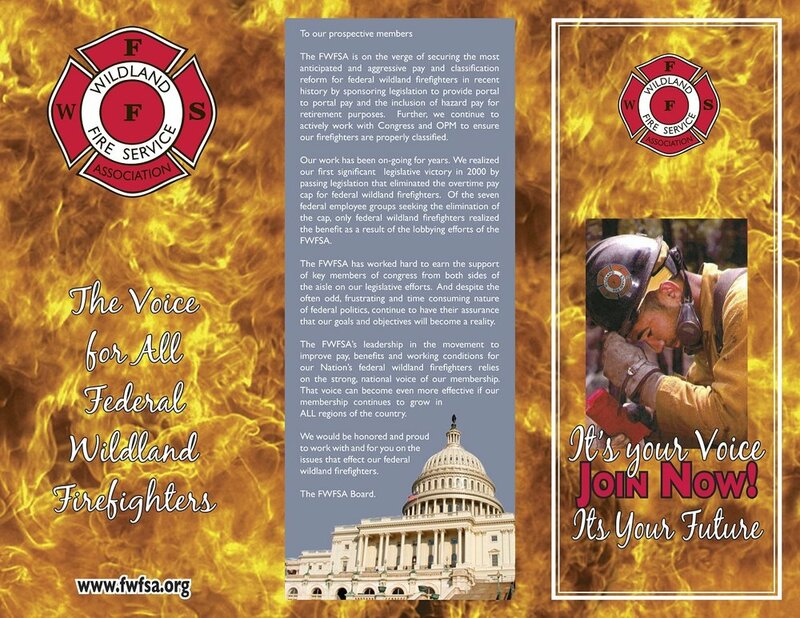 We are THE political voice for all federal wildand firefighters. Our membership spans the full spectrum of firefighter positions from entry level through management officers. The FWFSA is dedicated and committed to improving pay, benefits and working conditions for the Nation’s federal wildland firefighters as well as providing a forum for our members to become active advocates in the process of increasing awareness and education among those in Washington D.C. who are in a position to effect positive change.